Last post of the week covers some news I missed yesterday on AC's new 777-300s plus more WestJet expansion and some bonuses that don't play too much into the majority of the Canadian market. I forgot to mention yesterday in the post about Air Canada's new Premium Economy product that the new 777-300 will also have a tighter economy class of 10 abreast seating (3-4-3). The current 777's in Air Canada fleet feature 9 abreast seating in 3-3-3 configuration. So while those who buy Premium Economy will enjoy more room, those in the back of the bus will enjoy less room. WestJet announced some new routes on their Facebook page, Calgary-Dallas (obvious tie up with their partner American Airlines) and Toronto-Myrtle Beach (vacation destination, taking on Porter Airlines) are slated to start later this year. In addition to that they mention 2 new Canadian cities (Encore service?) 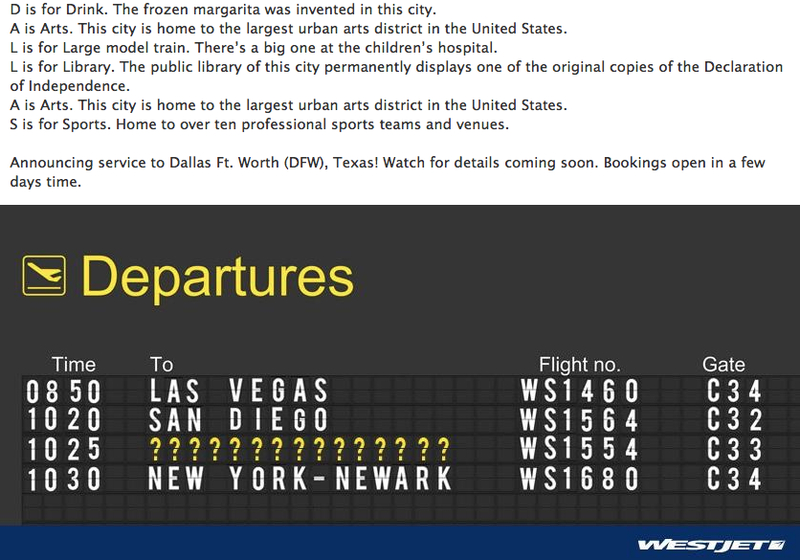 and 3 winter destinations moving to year round service. More details are to come soon. Travel DealsEmirates is running a special offer when you buy two tickets in business class or economy class to Cape Town, Colombo, Dubai, Durban, Johannesburg, Male, Mauritius, Nairobi, Phuket and Seychelles. Flights must be booked by Feb 11 for travel Apr 5 - May 31. Find more details here.